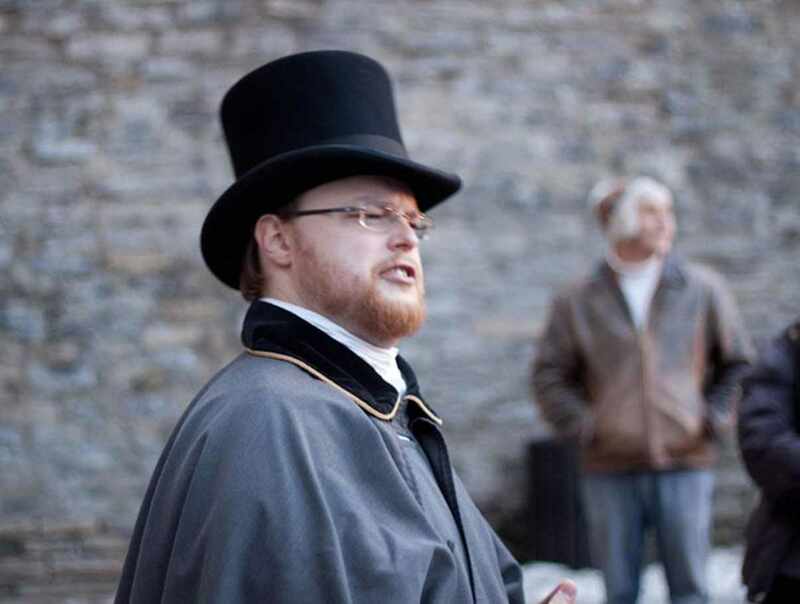 As the sun begins to set, the costumed tour guide at Ghost Tours of Québec strikes a match and lights his lantern. 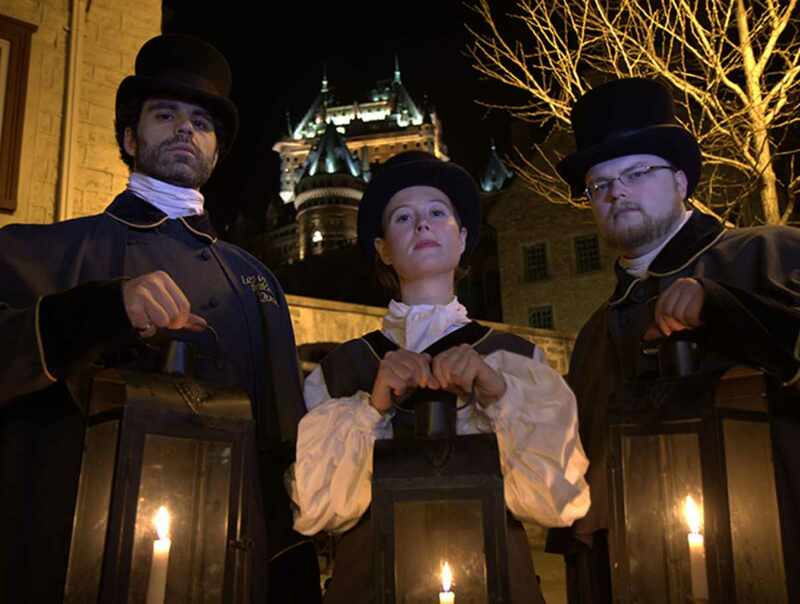 A hush settles over the tour group, for they know they will be walking down cobble stone streets to hear 400 years of murders, executions, mysteries and ghost sightings. 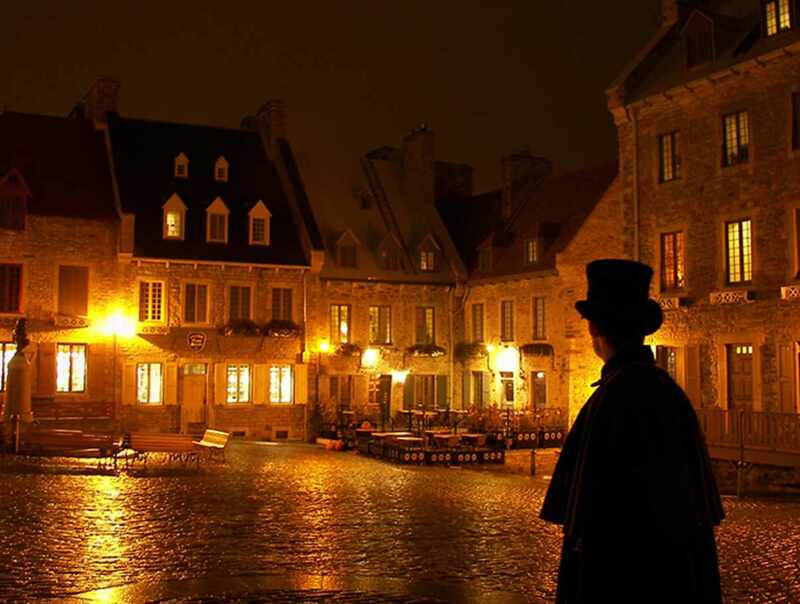 A nightly storytelling walking tour that engages the imagination in the darker side of Québec history. 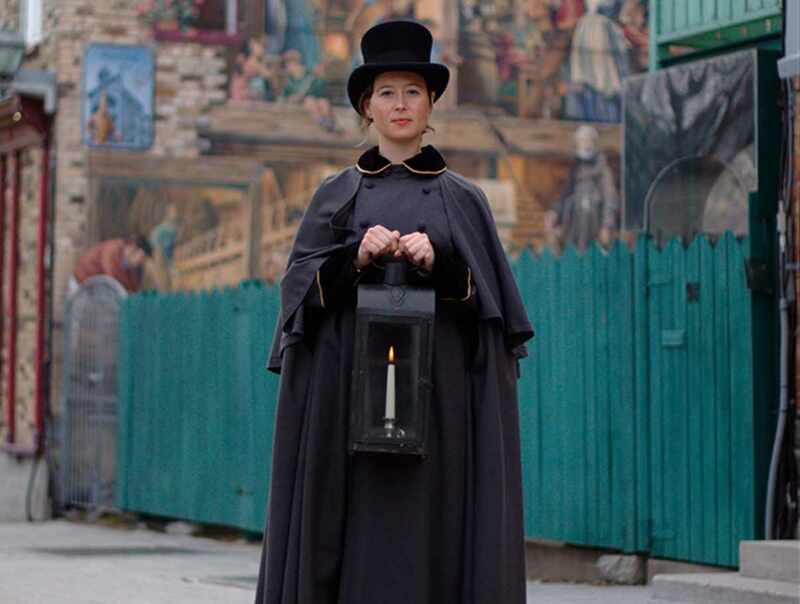 May 1 to October 31, daily at 8 p.m. in English and 8:30 p.m. in French. We can also accommodate private groups of 15 people and more. 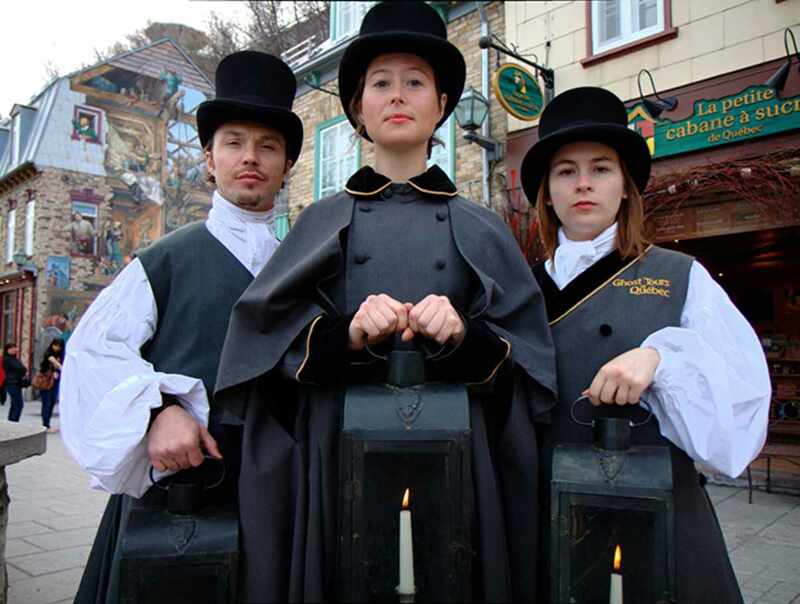 Off season visits are available by reservation.